Skerryvore is a five hundred year old 3 storied town house in the centre of Kirkwall. There are 2 large rooms with en-suite facilities on the 1st floor with a double and single bed and a sitting area to relax in. The Scott Room, where Walter Scott wrote 'The Pirate' overlooks the Town Centre and Cathedral, while the Garden Room, surprise, surprise looks out over the garden. There is a private area for parking at the rear. For the more energetic, theres the leisure centre at Pickaquoy with lots to keep fit. Facilities include squash and swimming and theres also the cinema. Of course theres the Golf Course and Bowling / putting at Brandyquoy Park. 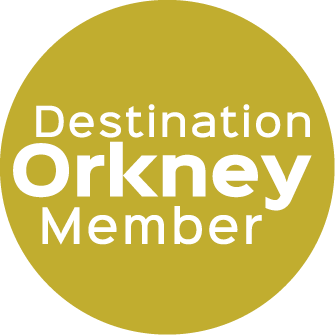 The Travel Centre is a short walk away with bus links to mainland Orkney's World Heritage sites, towns, villages and beautiful countryside.